These are gowns that I have made for various projects. They were not made for clients. They are in like new condition, having only been worn for photo shoots. This gorgeous gown screams timeless elegance. With a micro train, open back, and peekaboo key hole, this gown is gorgeous both coming and going. It features flutter sleeves that coordinate with the belt lace and the back detail. size-2/4 but could fit a 6 depending on measurements. This dress is extended in the top so that alteration can be made to fit the bust perfectly to the purchaser. Reclaimed materials may be repurposed or antique pieces. 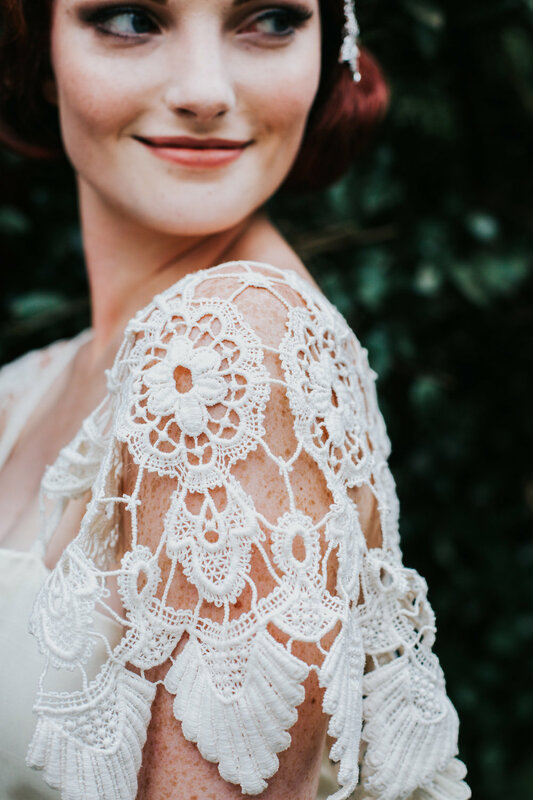 This gown has tons of amazing hand made details! From the pleated front to the hand made trim that runs along the bottom. This gown has light boning. It is pictured with a six bone hoop but the hoop does not come with it. Hoops can be purchased online. EBay and Amazon are both great resources. Although pictured off shoulder, it can be worn on the shoulder. This gown was used for photo shoots and one demonstration. This beautiful silk shantung gown features a tulle overlay on the skirt. The tulle trains out in the back for a floaty feel. 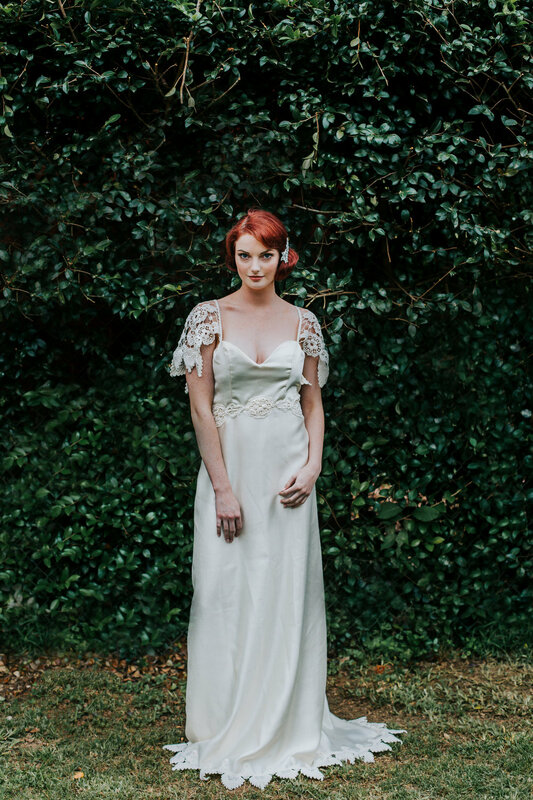 The sleeves feature reclaimed lace elements and the back has faux pearl buttons with hook and eye closure. Reclaimed fabric and lace elements.